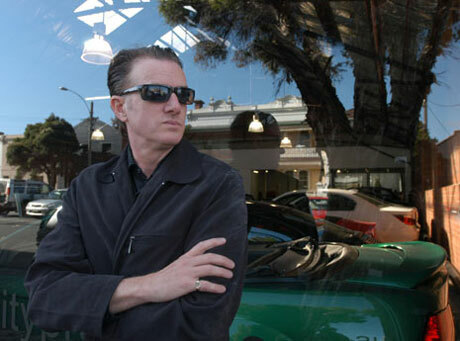 After decades of loyal service, Nick Cave's long-time collaborator, Mick Harvey, has quit the Bad Seeds. Harvey, who played in Cave's previous band the Birthday Party before co-founding the Bad Seeds in 1983, cites "a variety of personal and professional reasons" for his departure, but said in a statement released today (January 22) that there is no bad blood between the two. Harvey also said he wanted to leave the group on a high and would continue to work alongside Cave on the Bad Seeds' upcoming reissues. For a variety of personal and professional reasons I have chosen to discontinue my ongoing involvement with Nick Cave & The Bad Seeds. After 25 years I feel I am leaving the band as it experiences one of its many peaks, in very healthy condition and with fantastic prospects for the future. I'm confident Nick will continue to be a creative force and that this is the right time to pass on my artistic and managerial role to what has become a tremendous group of people who can support him in his endeavours both musically and organizationally. It was a fantastic experience to finish my touring days in the band with the recent shows in Australia and the unique events that took place in conjunction with All Tomorrow's Parties, especially Mt. Buller, which was one of the many highlights of my involvement with the band throughout the years. I shall continue working on the Bad Seeds back catalogue re-issues project over the coming year and look forward to the new opportunities I shall be able to accommodate as a result of my changed circumstances. Nick Cave and the Bad Seeds "The Mercy Seat"